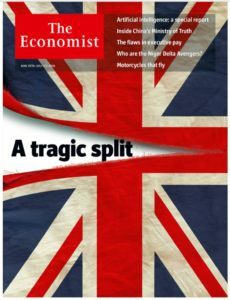 On June 23, 2016, the UK voted to leave the EU—Brexit. The outcome of the vote was unexpected and EVERYONE freaked out. As it turns out, nearly all those dire predictions were totally overstated. A more objective view shows that the UK and the broader world are doing JUST FINE, probably even better than fine. This is a good lesson that just because experts say something, especially in this world of 24-hour news cycles where crazy proclamations get the headlines, doesn’t mean they’re going to happen. Brexit is a really good example were most experts, at least the loudest experts, got it totally wrong. The general consensus among mainstream media was this was an unmitigated disaster. The imagery of UK self-inflicting a fatal wound was pervasive. CNN described the impending “Brexit hangover” as though the British were a bunch of youngsters who did something immature and thoughtless like vote to leave the EU (or go out on a drinking binge). In the light of day they would realize their error and suffer economically for their folly (hangover). 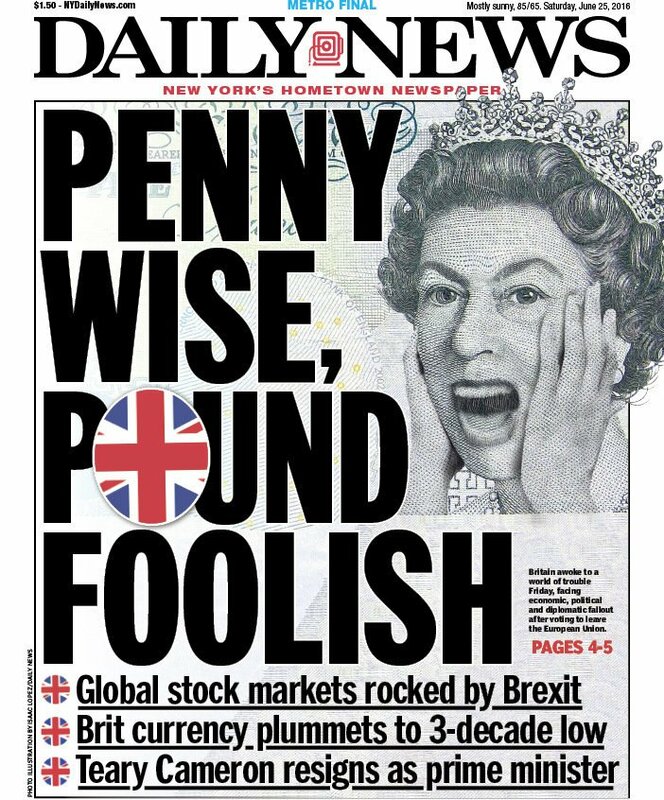 CNN also had the headline “Brexit + Deep Uncertainty = Market Chaos”. The first line claims, “One of the foundations of the political world was thrown in disarray.” The world in disarray???? Maybe a bit melodramatic on that one. Magazines and newspapers had provocative headlines and covers. The Economist called the vote “tragic”; the New York Daily News called it “foolish”; the New Yorker equated it to a suicidal leap off a cliff. Let’s be serious for a second. Even President Obama lent his voice to the echo-chamber chorus, warning Britians before the vote that Brexit would put them at “the back of the queue” when doing trade deals. Clearly this was meant to scare British as a threat to their economy and livelihoods. Making it more local, my Facebook feed was filled to the brim with dire Brexit predictions. Nearly all these posts are from graduates of the University of Chicago’s business school. These are people who have studied economics MUCH MORE than your average Joe. Look at some of those comments. Equating Brexit to World War II??? Really??? 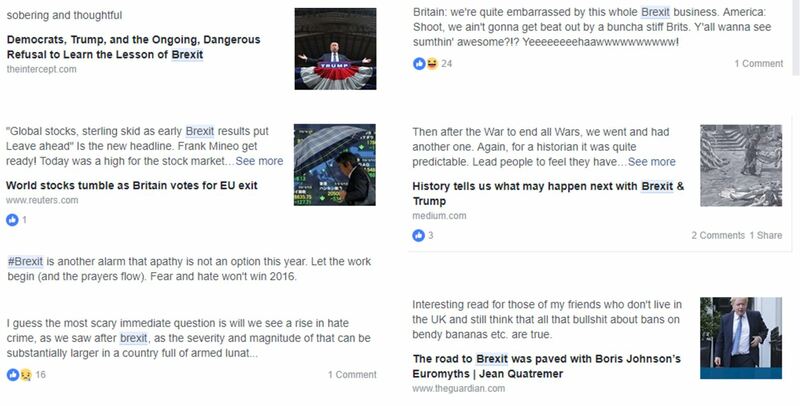 The point is Brexit was fairly universally acknowledged as a total disaster in the making by the loudest (but not necessarily the smartest) voices. It’s easy, just based on the volume and frequency, to imagine there was something to that. It’s been almost two years, so let’s look at what has actually happened to the UK since its citizens voted for Brexit. For all the talk that Brexit was going to tilt the ENTIRE WORLD into financial disaster, let’s be real. First, the UK isn’t that important. It’s 21st in terms of population (a country with 0.9% of the world’s population), and it’s 6th in terms of GDP (3.4% of world’s GDP). 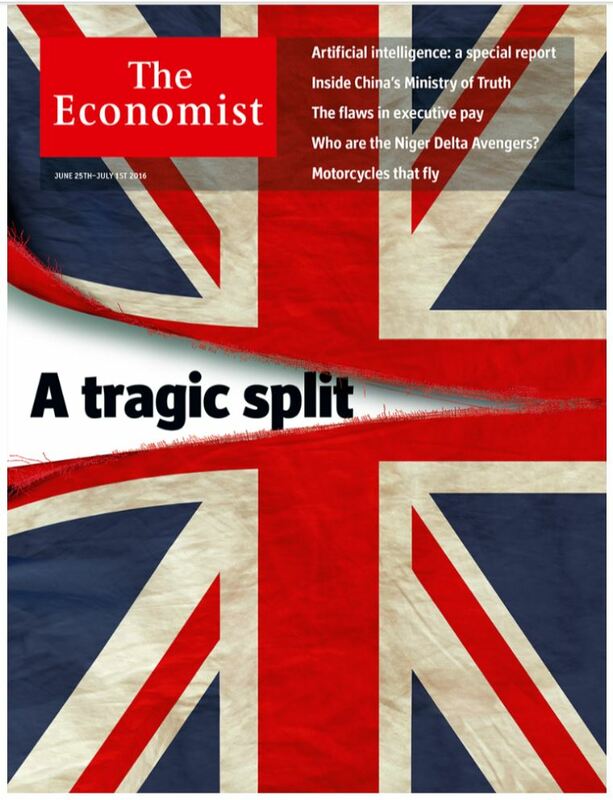 Let’s not overestimate the impact, ambiguous at best, that such a political move might have on the world. In case your curious, the world’s GDP grew about 2.5% last year. Equity markets are up about 25-30% since the vote happened. That seems pretty darn good to me. 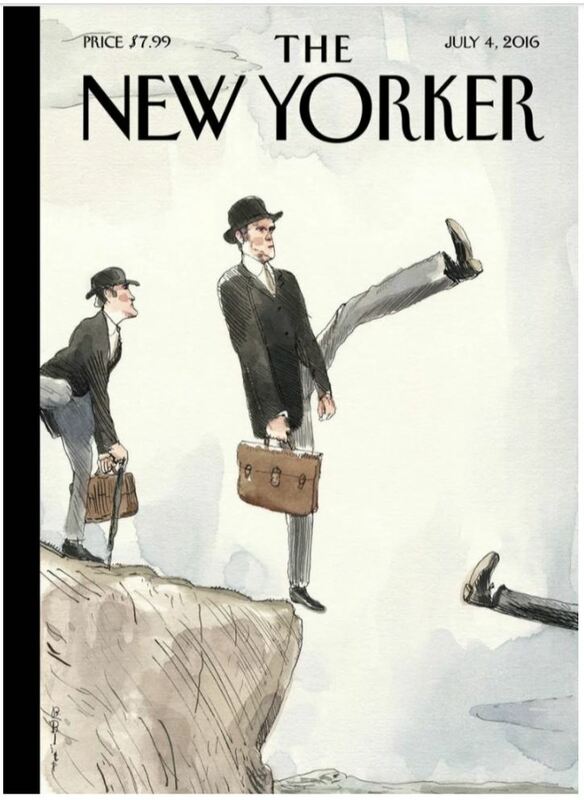 Looking at the UK in particular, it seems like things are going okay too. There’s no totally objective way to assess the “strength of an economy”, especially among people whose political views predispose them to think one way or another. That said there are some widely accepted metrics to look at. UNEMPLOYMENT—UK unemployment since the vote has fallen pretty much in lockstep with the rest of the EU. In June 2016 it was at 4.9%, and now it’s at about 4.3%. That’s very slightly above Germany (widely regarded as the strongest economy in the EU), and much lower than the other major EU countries who have embraced EU-ism: France (9.2%), Italy (10.8%), and Spain (16.4). VERDICT: not total disaster. GDP GROWTH—UK GDP growth has been at about 0.4% quarterly since the vote. That’s fairly middle of the road. As usual, Germany’s metric is a bit better (0.6% growth), while France’s and Italy’s are in line (0.4-0.5%), Spain’s is higher (0.7%). GDP growth is a very fickle metric in that it looks at changes, not absolute values. Were Spain’s higher numbers because it is doing well now or that it was doing so poorly a few years back, and today’s number just look favorable compared to crappy numbers. You can see the challenge. Either way, it’s pretty clear that the UK isn’t performing at substantially worse level than the other major EU players. VERDICT: not total disaster. STOCK MARKET—The UK stock index (FTSE) is up about 20% since the vote. That’s a bit less than the US (33%) and Europe (26%). Maybe that’s evidence that the stock market thinks the UK made a mistake. First, being up 20% definitely defies the idea that the UK is a disaster. Second, just like GDP growth, there are a lot of factors that make it a bit challenging on how exactly to interpret it. Right after the vote, the UK’s stock market well outperformed the others, and then it decelerated. I chalk it up to general market gyrations. VERDICT: not total disaster. EXCHANGE RATE—After the Brexit vote, the exchange rate for the British Pound to the Euro fell from about 1.25 down to its current rate of 1.12. Definitely you can see a clear move down. Often times a depreciation in your exchange rate reflects negative circumstances for the country’s economy (see Venezuela). Yet, that’s way too simplistic a view. In the past year, the US dollar is down about 15% compared to the Euro, and I don’t think anyone seriously thinks the US economy is in a state of disaster compared to the European economy. Also, if you look at the Pound/Euro exchange rate over a longer time period, the 1.15 range is actually where it has spent most of its time. It was there in the early 2010s (when the UK was part of the EU), then it rose dramatically in 2015 when Greece’s drama unfolded as it nearly toppled the EU’s common currency (hmmmm . . . maybe that’s a reason why the British voted for Brexit). Now it has fallen back to those previous levels. VERDICT: not total disaster. The point of all this is that it’s definitely not CLEAR that the UK’s Brexit vote was a total disaster. Despite the incredibly smart people with a firm grasp of macroeconomics at CNN and the New Yorker among many, many others (I’m totally being sarcastic here—I think they’re idiots), just because they say something doesn’t mean it’s true. They have the loudest voices in media today, but that doesn’t mean they have the smartest. Remember, I am smarter than a Nobel Prize winner, and I do think Robert Schiller is really smart. If you were Rip Van Winkle and slept through the last two years, and then upon waking were asked which Top 20 economy voted on an economic policy that was tantamount to “Tragically foolish suicide that pulled the world into chaos”, I’m not sure you’d zero in on the UK. Actually, you’d think things look pretty good there, not nearly as horrible as that description would lead you to believe. There’s a bit of a lesson here. Keep this in mind when everyone in the media and on your Facebook feed starts talking about how obviously good or obviously bad something is. Quick things that come to mind are: economic impact of Trump’s tariffs, inevitability of China overtaking the US in GDP, the impact/harm of the Trump tax cut. These things are highly complex and very nuanced; rarely are they unambiguously good or bad in the manner that grabs headlines in our oversaturated media landscape today. Don’t be a sucker.